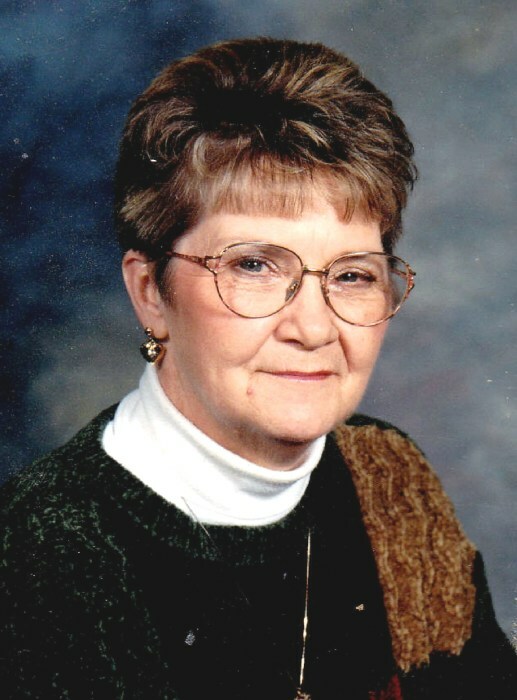 Peggy A. Ferguson, 79, of Quincy, passed away at 11:45 p.m. Tuesday (September 4, 2018) in Sunset Home. Born November 25, 1938 in Perry, Missouri, Peggy was the daughter of Jess William and Genevieve Story Balko Brashears Sr. She married Lewis E. Ferguson on August 21, 1956 in Quincy. He preceded her in death on August 23, 2012. Peggy enjoyed camping, reading, watching soap operas and crime mystery shows. Peggy was first employed as a sales clerk for Deters Dairy. In her later years she and Lewis were part-owners of the Whispering Oaks Campground for over 23 years. The campground became their home away from home treating many of their campers like family. Peggy and Lewis dedicated much of their time and energy to making the campground a safe and welcoming environment. Survivors include two daughters, Sandra McCleery (James) of Quincy and Connie Grawe (Tim) of Quincy; seven grandchildren, Christopher Leonard (Beth), Adam Michael McCleery (Macayla), Nikita Woods (Colin), Karina Daniel, Amanda Algren (Brandon), Kody Pepper and Megan Gibson (Robert); fifteen great grandchildren, Disaree Hudson, David Leonard, Scoden Hudson, Cannon Daniel, Allison Leonard, Bradley Leonard, Finlay McCleery, Peyton Wood, Riley Daniel, Avalynn Algren, Sophia Pepper, Brody Gibson, Colin Wood Jr. and Janel Pepper; a sister, Katherine Crow of Creve Couer, IL. Also surviving are many loving nieces and nephews. Peggy was preceded in death by her parents, her husband Lewis; her daughter, Mary Ann McCleery; two sisters Ruby Geist and Goldie Gray; three brothers, Jess William Brashears Jr., Ray Brashears and Billy Brashears. Funeral services will be held Monday morning at 10:30 in the Zehender Robinson Stormer Cookson Funeral Home with Pastor Henry Pratt officiating. Burial will be in Greenmount Cemetery. Visitation will be Sunday evening from 3:00 until 6:00 and Monday morning from 10:00 until the time of services at the funeral home. Memorials may be made to the American Parkinson Disease Association.